Most of us can’t walk down street nowadays without connecting to the Internet of Things (IoT). Whether we’re using a FitBit, walking through Target, or simply relaxing to some music powered by Alexa, we’re connected to billions of other devices—all of which represent potential security breaches to our personal and business data. Still, if you’re a business operating in today’s digital environment, a link to the IoT is vital. It’s key to gathering data, understanding our customers, and ultimately, serving them better. But how do you manage those benefits with the 24/7 global risk of cyberattack? Right now, that’s a question many companies are grappling with as they rush to keep up with competitors while also keeping their customer data safe. 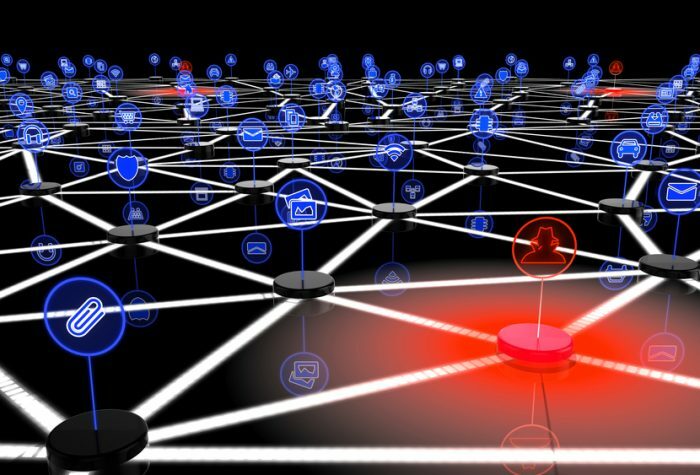 In a recent survey, nearly 50 percent of respondents named security as a key impediment to IoT adoption in their organizations. At the moment, there is simply too much uncertainty about keeping information secure. In the good old days, we as customers only needed to worry about things like social security numbers, credit card numbers, or bank accounts when it came to data security. But these days, the data companies gather from their customers now is far more sensitive. Every moment your smart TV or Alexa is on, it’s listening to your conversations. It hears every intimate detail of your life—and all of that personal data can be spilled into the digital stratosphere if companies aren’t careful. If your company is thinking of connecting to the IoT, make sure security is built into every layer of your device design—not just an afterthought. Some programs, like the IBM Watson IoT Platform, have already engineered security features into the overall design of their product. Unfortunately, many of the apps being engineered via freeware won’t be that sophisticated. Take time to understand the head-to-toe development of security within your device—including what data it will share, how that data will be encrypted, and how new devices will be authenticated before entering your safety zone. The less information going out—and the fewer devices that have access to it—the safer your IoT experience will be. Just like you’re gathering data about your customers, you should be gathering data to better understand the environment in which your device and customers are operating. As I’ve said many times over, there are simply too many threats today for cyber security teams to respond to all of them. Indeed, some 30 percent of security professionals said they ignore more than half of security alerts they receive. Yes, more than half! Using artificial intelligence, however, you’ll be able to triage threats in real time to determine which require immediate response—and which you can safely ignore. Just like today’s machine/deep learning programs, today’s IoT needs to be continuously learning—adjusting in real time to the threats it detects. That means not just collecting data and looking at past trends, but analyzing it in the now to stop threats before they even happen. Without cognitive security, your IT teams will be faced with an inundation of data and threats—without the man power or expertise to manage them. It’s an impossible situation that, in the end, will only put your customers at greater risk. Yes, the IoT is a lot to absorb—especially if this is your company’s first foray into the IoT sphere. Just know that the tools and technology are already out there to help companies keep their IoT data and devices as safe as possible. Combined with continuing developments in edge computing (which allows data processed via the IoT to stay closer to the device, thus greatly limiting the risk), privacy and protection will become less of a headache for your company—and more of a selling point. At the very least, they’ll help hold you over until blockchain becomes more readily accessible.